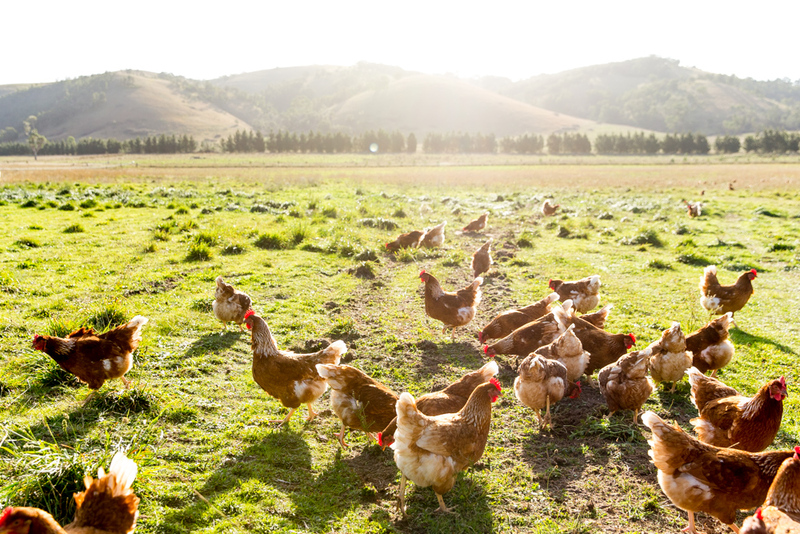 At Mulloon Creek Natural Farms we’ve been giving our hens the best life we can since we began producing organic free-range eggs in 2004. 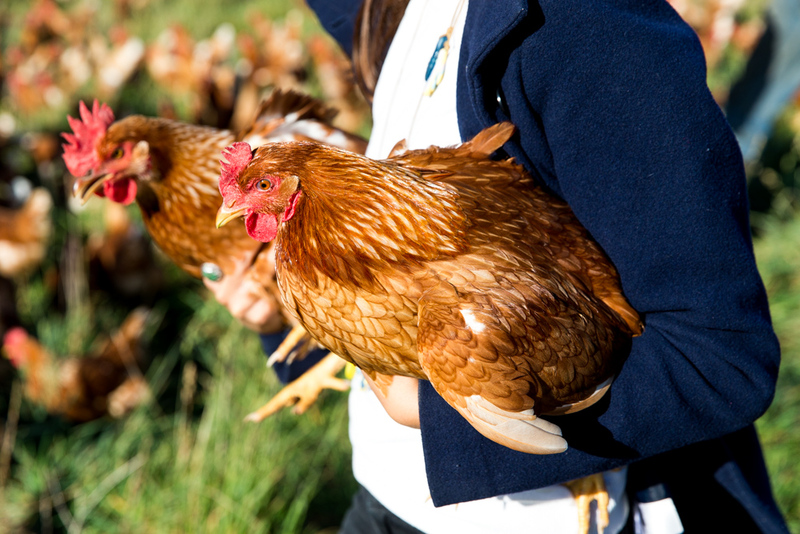 We keep less than 250 birds per hectare* so our lucky hens have more space than many free-range operations. The Australian Government's free-range maximum is 10,000 birds per hectare while the organic standard is 1500 birds per hectare. We run cattle through each paddock before a new chicken flock goes in, to keep the grass down and add fertility to the soil. The birds love scratching around in the manure for tasty bugs, spreading it across the paddock as natural fertiliser as they go. Our chooks eat a diet of organic feed, shell grit and water, and forage for beetles, worms and grasses in the paddock. Their food and water is placed outside the sheds so they have to go outside to eat. No sitting inside all day for these birds! After a day of roaming free in their paddocks our hens return to their mobile hen houses to roost safely away from foxes. The purpose-built sheds are used for shelter, roosting and egg-laying and are moved to fresh pasture regularly. The sheds have open bottoms above the ground, so the hens are never locked up. Our flocks are made up of ISA Brown and Australorp breeds that are constantly under the watchful eye of their Maremma guardian dogs who are specially bonded to each flock to guard and protect them. *The stocking rate that many farmers declare is usually just an estimation. It is not audited and may or may not be accurate. However, at MCNF we guarantee our stocking rate is less than 250 laying hens per hectare. Our eggs are Certified Organic with Australian Certified Organic and our farms are accredited as ‘True Free Range’ with Humane Choice. People who buy our eggs usually care about their health and want nutrient dense food that tastes great. They also care about animal welfare and sustainability and the prestige that comes from buying a quality product. When we discovered that nutritional labels on egg cartons only analyse the prepared feed and completely ignore the foraged food we decided to investigate further. We had our eggs analysed by an independent Australian Government authority and found super high Omega 3 levels and better Omega 3:6 ratios than most other eggs. 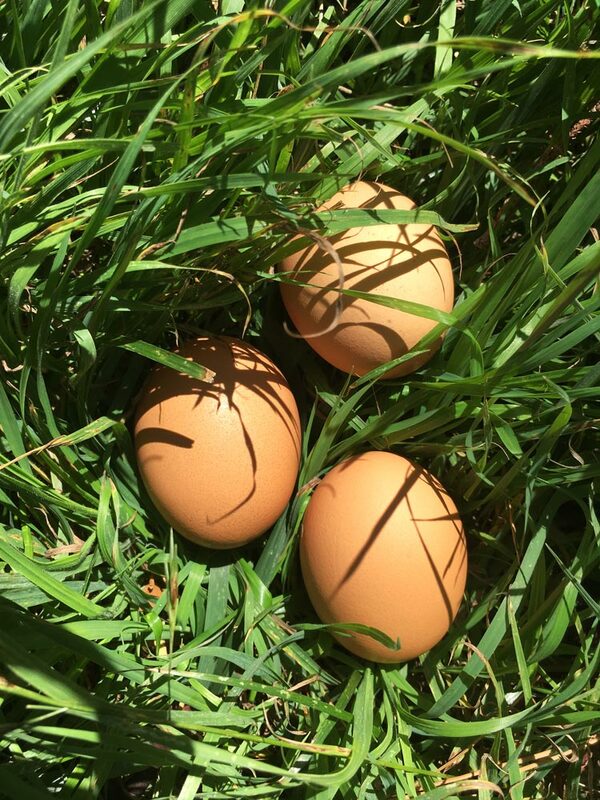 This is due to the diversity of bugs, insects and plants our hens are able to eat in our biodynamic pastures, and its the plants they eat (including weeds) that give the yolks a super yellow colour. Use the map below to locate your closest stockist. Use the + and - symbols to zoom in and out. Click and hold to drag the viewport. Click on a red marker icons to view the details of each stockist.